Can you tell me how to find, how to find a roof leak …….. While most people complain about our recent downpours they have been providing me with much-needed rain to make leaks light up. One of the biggest benefits having a thermal image camera is the ability to see things you can’t see with your visual senses. A recent inspection on a home on Sesame Street and no I don’t need you to tell me how to get there, I found a leak that wasn’t showing through the finished surfaces yet…. Although advanced in age the surface of the roof did appear to be satisfactory. On initial scans from the kitchen and family room there did appear to be an interesting cool spot in the family room and upon further investigation this cool spot did in fact turn out to be a current wet spot. This was roof leak. 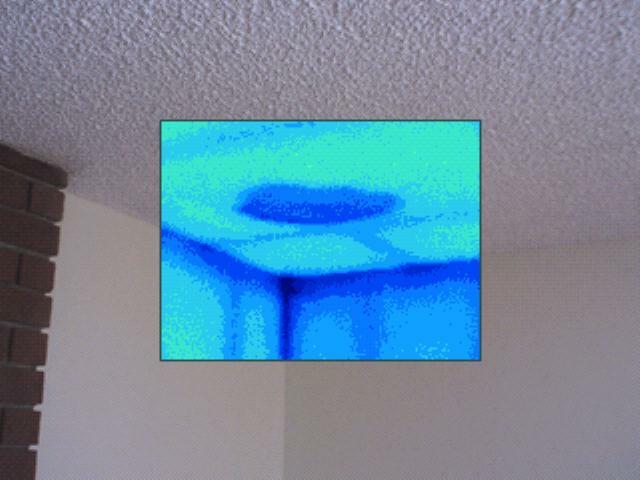 It is good idea to do thermal inspection of homes and building once in a year. Thermal imaging is an awesome tool! If you’re looking for a roof leak on a budget, you can also look for light coming through in the attic. 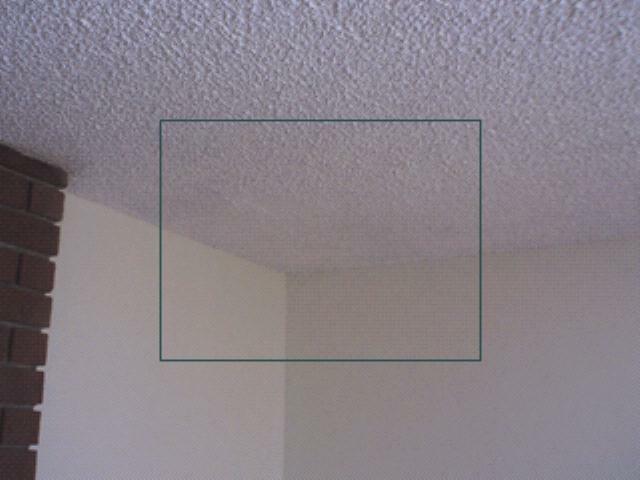 If it’s a more severe moisture problem, you might be able to find mold if you lift up your shingles gently, or in the insulation in your attic as well. Good post!